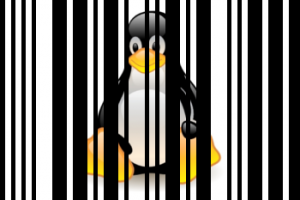 The Softek Barcode Reader Toolkit for Linux is a fully supported commercial library for extracting barcode values from images. Recognition of 2-D barcodes such as QR-Code is included as standard along with ready made interfaces for the Shell, ‘C’, Perl and Java(™). The download includes builds for all major versions of Linux and source code for the Shell tool, Perl Module and Java Class. Download and try for free with a 30-day evaluation license, which can be requested from sales@bardecode.com. The download is a fully functional version of the toolkit and you can access free support during the evaluation period. With over ten years of development and refinement the SDK is both fast and efficient. Licenses are available to suit all requirements, either per installation or as a distribution license. Now Includes a build for Ångström ARM. Fast detection of 1-D & 2-D barcodes. API’s for ‘C’, Shell, Perl and Java. Source code for the Shell tool, Perl Module and Java Class. x64 version available for each build. All licenses include 12-months support and upgrade cover. Read barcodes in any direction. Returns number, value, type and position for each barcode. Supports color and black & white images. Includes build for Raspberry pi. 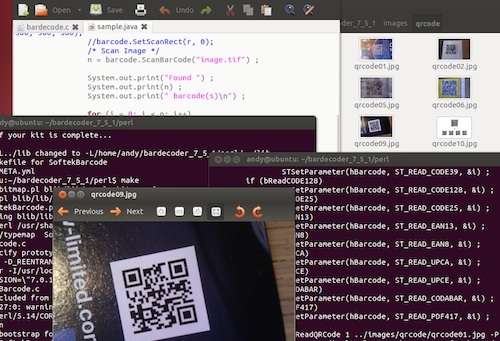 Image filters to enhance barcode detection. 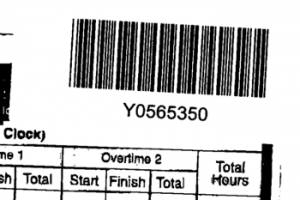 Ability to split documents according to barcode position. Includes a build for Ångström ARM. Requirements: libtiff, libjpeg, zlib and OpenJDK. Distributions: Centos, Debian, Fedora, OpenSUSE and Ubuntu. Download now and evaluate for free! Evaluation licenses are supplied upon request. Don’t hesitate to get in touch if you have any technical or purchasing questions. We look forward to hearing from you.